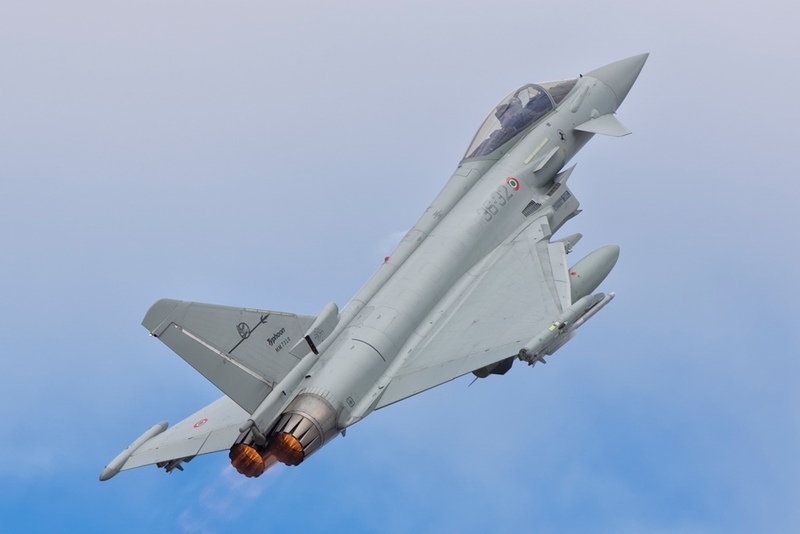 The Italian Air Force Typhoon fighter jets intercepted two civilian aircraft on the same day reaching three scramble in two days. July 14, 2017 - Today, in the early afternoon, two pair of Italian Air Force QRA F-2000 Eurofighter combat aircraft took off to intercept two civilian aircraft due to missed radio contacts. At approx. 1:30 pm, two F-2000 Eurofighters from the 36th Wing based in Gioia del Colle AFB intercepted an Aegean Airlines Airbus A320 aircraft departed from Luxembourg to Athens. The two fighter jets reached the civilian aircraft and, through the use of the appropriate operating procedures, provided assistance to the crew who promptly restored the contacts with air traffic controllers. One hour later, two Eurofighters from the 4th Wing based in Grosseto AFB took off to reach, intercept and provide assistance to an AD40 private aircraft departed from Venice to Germany. It also missed radio contacts. Both operational missions were activated following the immediate take-off order received by the Combined Air Operation Center (CAOC) located in Torrejon (Spain). It is the NATO unit responsible for airspace surveillance service of the area. The fighter jets assigned to the 4th Wing have the task to protect the airspace in the north of Italy while those assigned to 36th Wing have the same task for the south. Today's two missions add up to what happened on July 13, 2017, in which two Eurofighters from the 36th Wing intercepted a Belgian Embraer 450 (More details here).